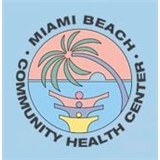 Miami Beach Community Health Center (Miami) - Book Appointment Online! For over 30 years Miami Beach Community Health Center has been dedicated to helping patients in South Florida obtain affordable, quality and professional medical care. All patients receive the same quality health care and no one is turned away based on their economic situation. At Miami Beach Community Health Center, physicians, nurse practitioners, physician assistants, dentists, registered pharmacists and support personnel staff primary health care facilities in three Miami Beach locations: South Beach, North Beach, and North Miami. I rarely write reviews, but felt compelled to write a review since my visit was everything i hoped for. My current OB was good, but made me feel very rushed and did not explain the procedures, i felt a bit disconnected. So i started researching for other doctors. My experience: Although the wait was long, i was very delighted with my visit with Dr. Silanee, he is very knowledgeable and up to date on the latest research. I was very pleased that he took the time to answer all my questions (I'm a first time mom at 35) without feeling rushed. He made sure I was up to date on all my tests and explained all the current procedures and the future test/sonograms etc. He is funny, amiable and very professional. Definitely feel very happy to have him as my new OB, and can't wait for him to deliver my baby boy.